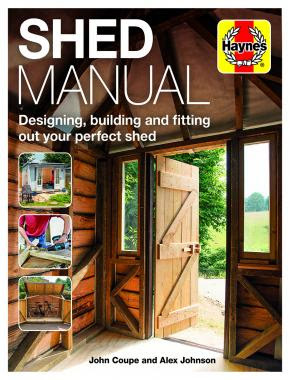 If you've already bought a copy of my new book, Haynes Shed Manual, many thanks. 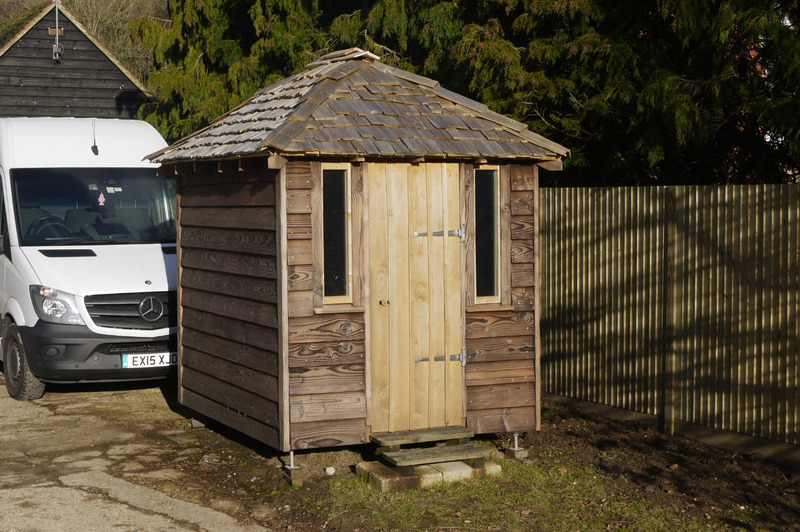 If so, you'll have enjoyed reading about the garden office build with a homemade shakes roof inside. 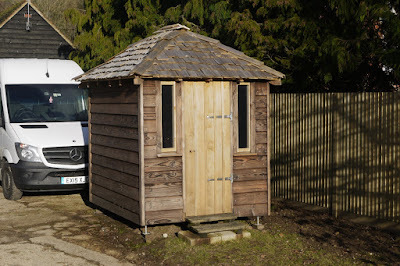 And if not, well, there's a marvellous garden office build with a homemade shakes roof inside. Well, here's your chance to own that shed, pictured above and looking slightly different from the images in the book as it's weathered delightfully since it was built. It's a really lovely piece of work. My co-author John Coupe worked exceptionally hard on it and it goes without saying that this is a unique build that you simply cannot find for sale anywhere else. And as an added bonus, is front and centre in the book - you can see exactly how it was made. 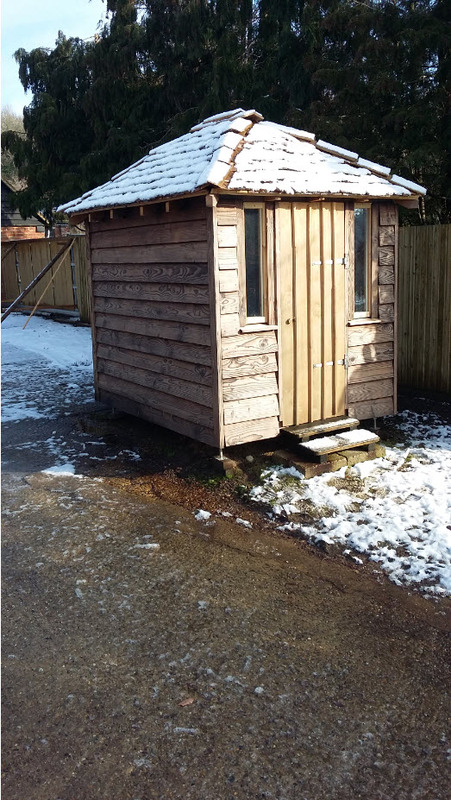 We're looking to sell it for £2,500 as a base price with extras and delivery to be priced (sensibly, of course) according to the buyer's requirements as it needs extra resources put into it to turn it into a real comfortable workspace e.g. extra insulation. Naturally, we're happy to talk through all that's required. If you're interested, please drop me a line and we'll take it from there.